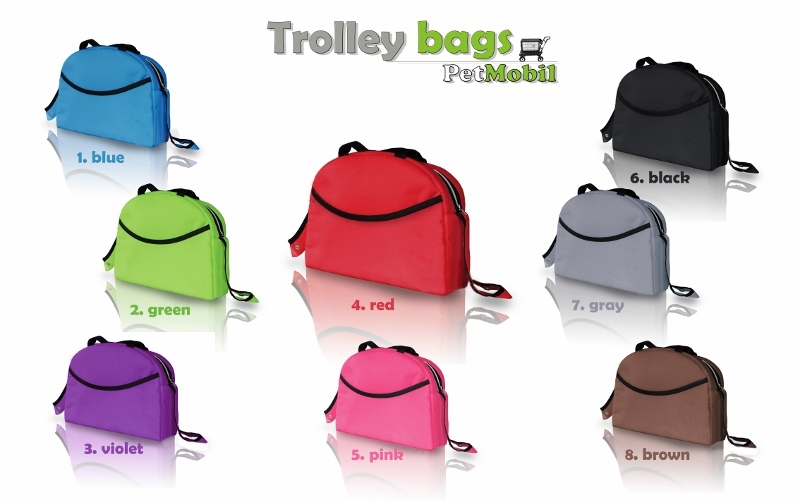 PetMobil ALUM size S - 2 rooms - Trolleys on dog show. 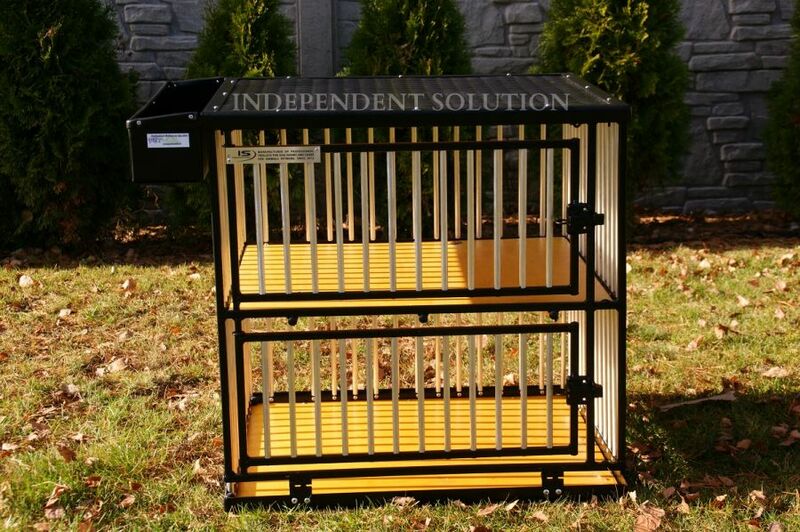 PetMobil ALUM - 2r - has cage 63 x 55 x 61 cm with aluminium with 2 rooms. 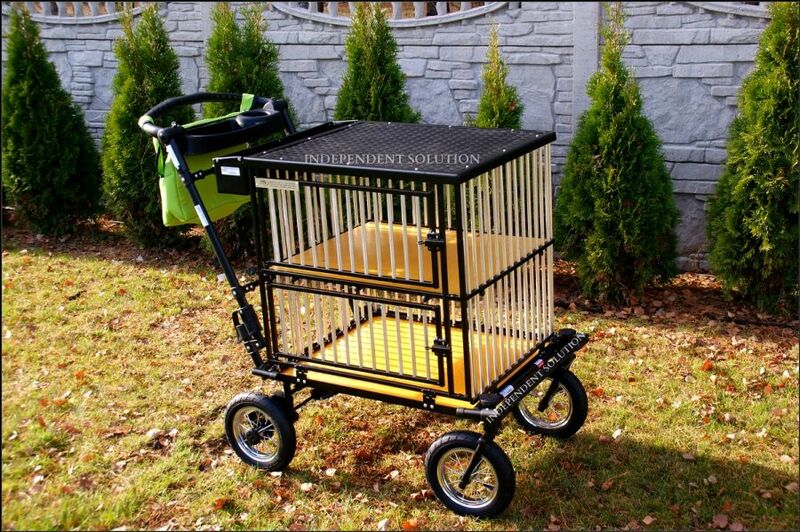 Present you a PetMobil ALUM - 2 complete with aluminium cages 63 x 55 x 61 cm. 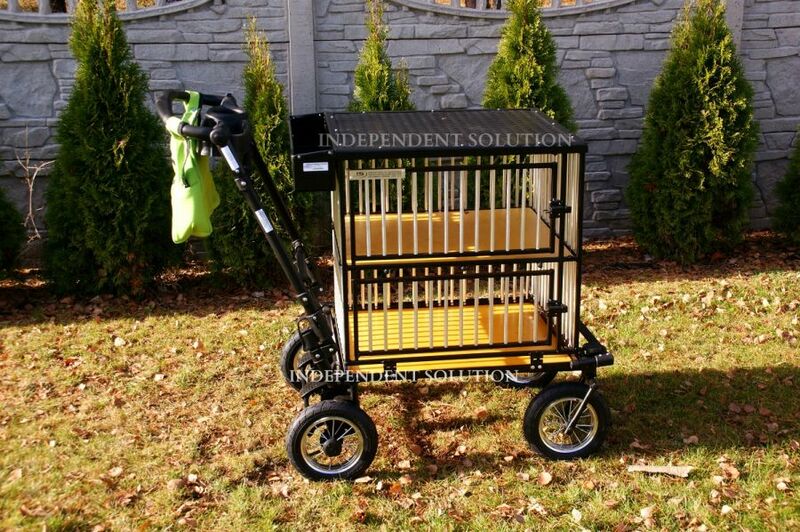 The trolley is made from best quality materials. It has three shock absorbers front and rear brakes, wheels, pneumatic (pumped), easily beats any terrain. 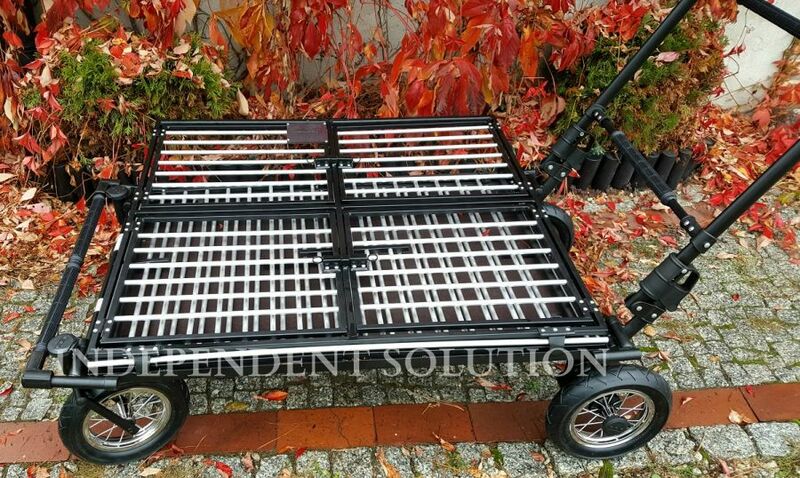 All trolley frame is painted with powder method that is very permanent. Grooming tabel can be with, lined by car carpet or you can choose a top with rubber. Also has a basket for cosmetics for your dog. Perfectly replace groomer table where the dog is calmly prepare for the show. Weight trolley the load up to 50kg. 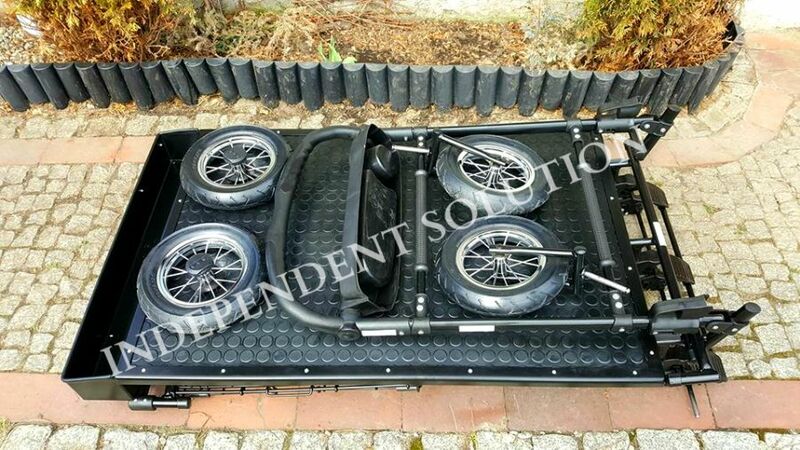 The entire trolley is folded, you can also take off the wheels. Folded trolley has a height about 28 cm. While the width is equal to the width of the frame.